Start up funding is the first issue that entrepreneurs usually face when they are trying to start a business. In my work with SCORE over the past 10 years, it is the single most often asked question: ‘Where can I get the money to start my business?’ And the question comes up with existing businesses as well: ‘Where can I get funding to grow my business?’ The difficulties involved in getting funding are substantial, but recently there have been several positive developments that have made the job somewhat easier, and in this short article, I will list several, including crowd funding, micro loans, and peer-to-peer lending. These are the alternative sources to raising start up and operating capital for the small business that cannot qualify for the loan requirements at commercial banks. 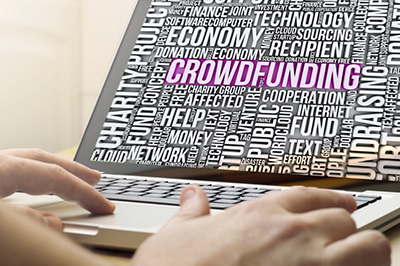 Crowdfunding is a very interesting source of money for the start up as well as the existing business. The first option is to raise funds that do not require repayment, but rather personalized rewards to the lender, such as a discount on the borrower company’s products, or a chance to meet its owner, or attend a product launch party. Several of the organizations that offer Crowdfunding services are www.kickstarter.com, www.indiegogo.com, and www.rockethub.com . (There are others, of course) Borrowers list a project with a requested amount of funding and a time limit for the funds to be raised. Lenders pledge as little as $1 each to funding the project, and if the goal is met within the specified time period, the funds are provided to the borrower. The second option, which has just been made possible by the Crowdfund Act (part of the larger JOBS Act of March, 2012) enables businesses to raise up to $1,000,000 from investors in exchange for equity (shares) in the business. This new option could be a major boon for small businesses. Micro loans are available for business funding up to $50,000. Rates can range from 6-12% and payment terms are variable. A major point in favor of micro lending is its flexibility to meet specialized credit requirements which would not normally qualify for a bank loan. One of the better known lenders in this field is Maryland Capital Enterprises with offices in Baltimore and Salisbury, Maryland. Micro Finance has been used in developing countries for a number of years to fund small scale entrepreneurial efforts (as low as $100) by the Grameen Bank among others, such as www.kiva.org and www.accioinusa.org. Peer to Peer lending is a newer concept in business funding, which provides a direct connection between the borrower and the lender. Two of the leading organizations in this field are www.prosper.com, and www.thelendingclub.com. The way it works (according to the prosper website) is: Borrowers choose a loan amount and purpose, and post a loan request listing on the website. Next lenders review loan listings and invest in listings that meet their criteria. There is a 14 day review period after the borrower posts the loan request during which the loan request must be equaled by lender commitments, and if that threshold is reached, the borrower is funded subject to a formal contract specifying regular monthly loan repayments. The advantage claimed for this type of funding is that lenders can pledge as little as $25 each thereby greatly reducing the level of risk to them. This lower level of risk to the borrower makes funding start up company projects more likely to be successful in raising the required capital. Each of these funding methods has advantages, primarily the greater likelihood of being successful in a tight credit period when the typical sources, such as banks and venture capitalists are much stricter in their standards for approval. Of course, the old standby methods are still available, such as family and friends, savings, credit cards and mortgaging personal assets (cars, homes). But an additional advantage of the Crowdfunding and P2P sources are that they can also make use of the social media sites (Twitter and Facebook, among others) to promote their project/request, along with the crowd funding website. In other words, the borrower has a great opportunity to be creative in promoting his/her project, through video, sound and other messages via the social media, as opposed to relying upon business plans and financial projections as would be required for a bank loan. Counselors at SCORE can provide further information about these innovative ways to obtain business funding. Author’s note: A local resident, Jennie Avila, appears as a borrower on the kickstarter site seeking funding for her project, a CD entitled ‘True Civil War Stores in Song’. Rewards offered are a chance to help design the cover page of the CD, and a copy of her song ‘Warrior Spirit and Keeper of the Bones’ sent to the lender in an mp3 file via email, among others. Rewards will be offered for pledges as little as $1. As of the writing of this article, 72 backers (lenders) have pledged $4,330, with 59 hours to go to the end of the funding period.